Oh Christmas how I adore you. Hands down, Christmas is my favourite time of year. I love the shiny excitement on my kid’s faces that seems to be perpetually on them. I even enjoy a good session of Christmas shopping (not to close to Christmas though, that is just crazy). And I just love to bake Christmas cookies. Just like these festive Chocolate Orange Rudolph Cookies. They are such a fun little Christmas cookie to make and decorate. 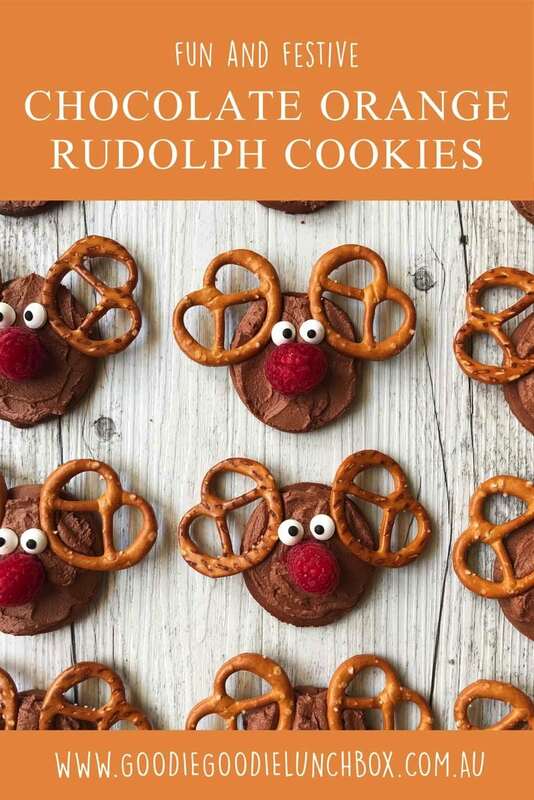 These Chocolate Orange Rudolph Cookies do have a bit of sugar in them (if you are looking for a lower sugar option check out these Low Sugar Chocolate Rudolph Cookies). And that’s ok with me – everything in moderation, including moderation to quote Oscar Wilde. But if you did want to make them lower in sugar you could reduce the brown sugar to 1/3 cup and just use blueberries for the eyes instead of candy eyes. 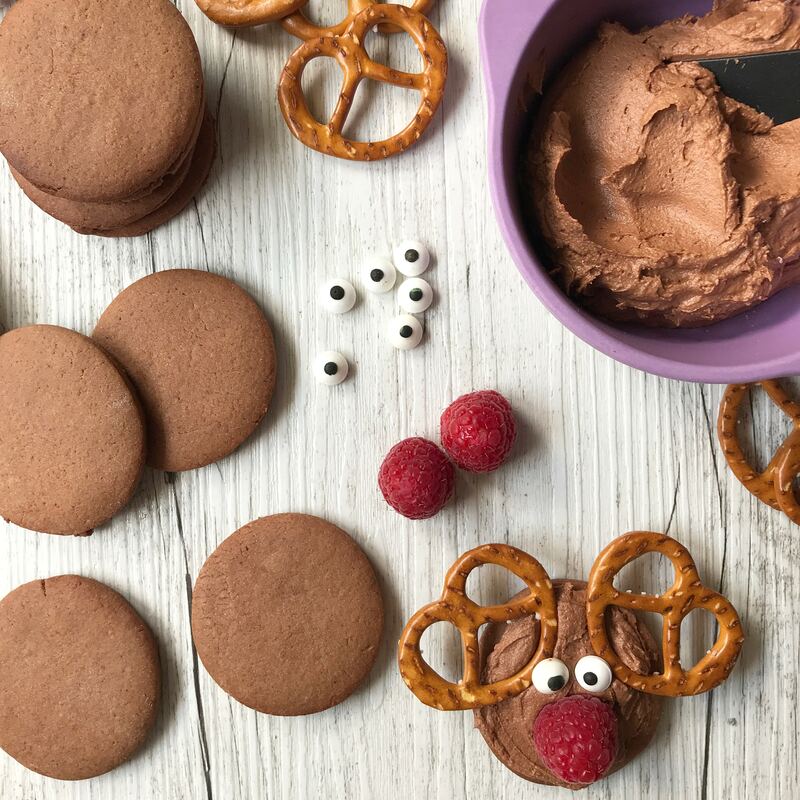 Either way you decide to make them, these Chocolate Orange Rudolph Cookies are totally fun to make and super fun to eat. Do you love the flavour combo of chocolate and orange? I really do – it has to be one of my favourite flavour combinations. If you wanted to make these even more pronounced with an orange flavour you could add orange rind and juice into the icing as well. Also if you wanted to just make these chocolate flavoured you could easily just not use the orange zest and juice – you may need to replace the juice with milk. Do you love to bake Christmas cookies as much as me? You will also love these delicious Simple and Easy Low Sugar Gingerbread Cookies, or these Festive Spiced Cookies. 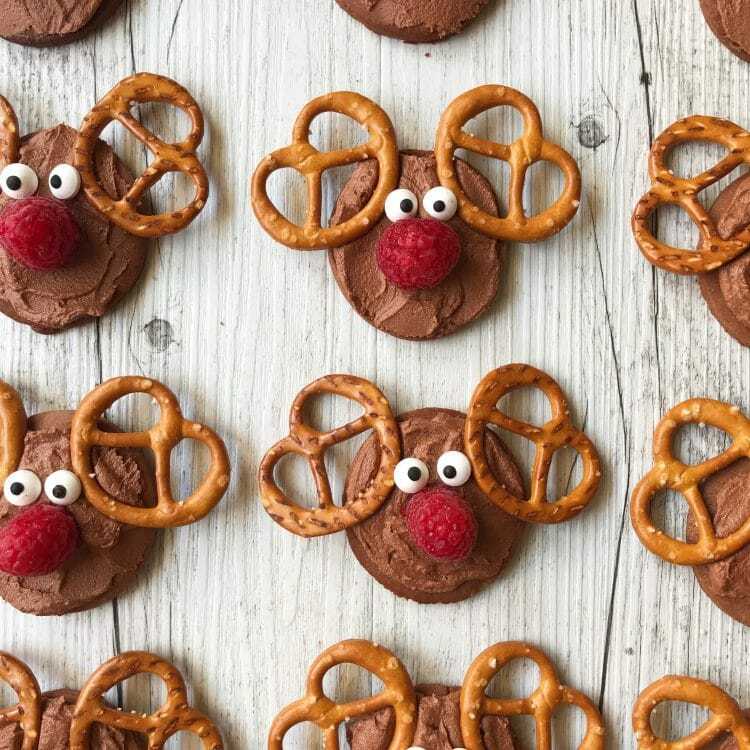 These Fun and Festive Chocolate Orange Rudolph Cookies are super cute and super yum. I think these cookies will be Santa’s favourites. When baked through place the cookies on a wire rack to cool completely. Once the cookies have cooled make the icing. With an electric mixer beat together the butter, icing sugar, cacao, vanilla and milk. The buttercream should be firm but spreadable. 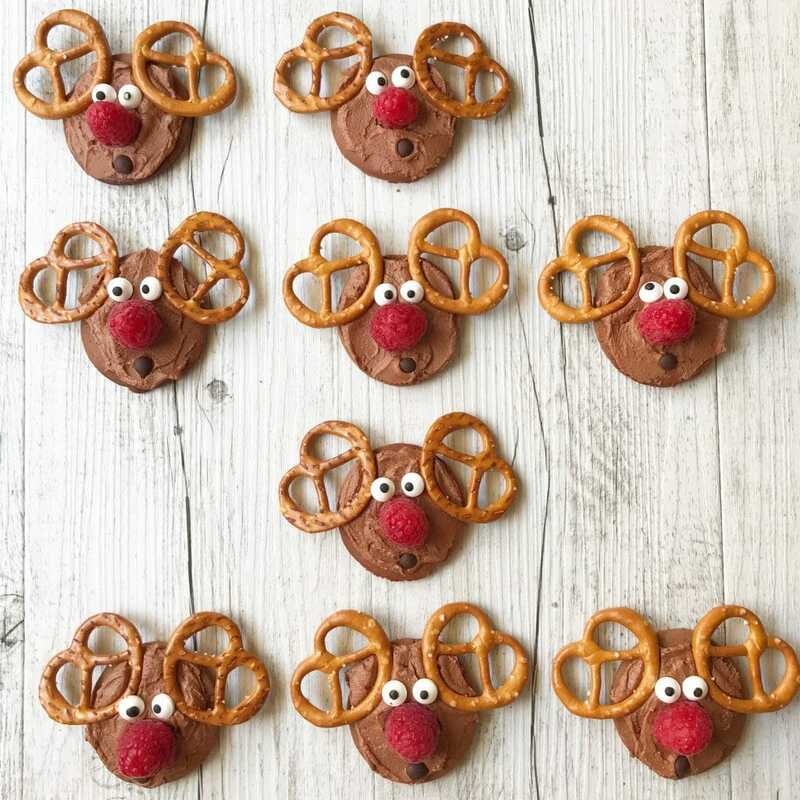 Decorate each cookie by smearing with a portion of icing and topping with the pretzel antlers, candy eyes, chocolate chip mouth and raspberry nose. Zesting the orange directly into the bowl will allow more of the flavour into your cookies. You can store the undecorated, baked cookies in the freezer for 2-3 months and then defrost at room temperature before decorating. These do not have a great shelf life after decorating so they are best eaten the day they are made. 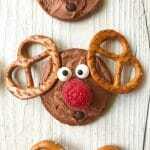 I hope you enjoy these Chocolate Orange Rudolph Cookies, they are so fun and festive and Santa will LOVE them. Remember to share pictures of your baked goodies with me on Facebook or Instagram.